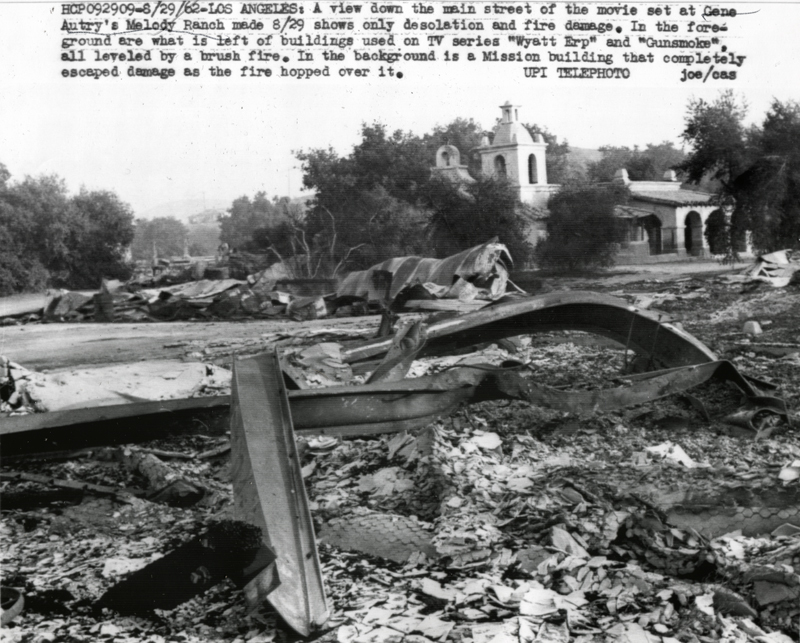 August 29, 1962 — Gene Autry's Melody Ranch in Placerita Canyon, as seen the day after wildfire claimed most of the Western movie town that had been erected in 1936 at 24715 Oakcreek Ave. Original UPI wirephoto; 7x9-inch glossy copy print, as distributed, of image and cutline. This copy date-stamped on back: 9-10-1962, NEA (Newspaper Enterprise Assn., which was related to Scripps). LW2581: 19200 dpi jpeg from original copy print purchased 2014 by Leon Worden.